After winning three new Parisian metro stations in February, Benthem Crouwel Architects has been selected again by Société du Grand Paris for the design of the new metro station at the Charles de Gaulle Airport in Paris. The metro station is part of the prestigious metro line Ligne 17, to be completed in 2024. The new metro line, Grand Paris Express Ligne 17, is 27 km long and includes nine metro stations, connecting two major airports to the city of Paris. 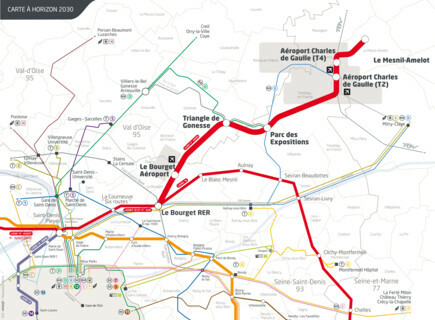 The metro line will serve both Le Bourget Airport and Charles de Gaulle Airport. The realization of the project will cost 1.8 billion euros. Benthem Crouwel Architects has extensive experience with large transport hubs and underground stations. They have been the architect of Schiphol Airport since 1982, and also designed the underground train station at Schiphol in 1995. 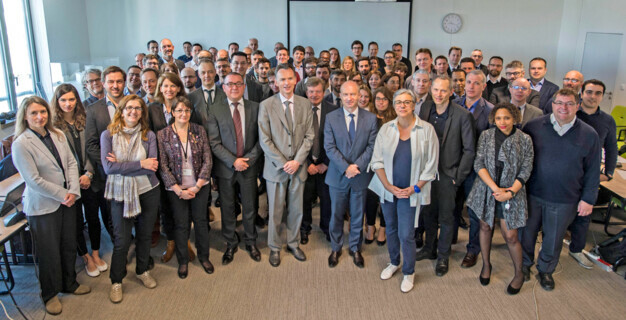 Now, twenty years later, the office will be designing the transportation link between the city of Paris and Paris Charles de Gaulle Airport, the largest international airport in France and one of the world's principal aviation centres. ∙ Explorations Architecture for station Le Mesnil-Amelot. This February, Team Benthem Crouwel Architects was also selected by Société du Grand Paris for the design of three above-ground metro stations and viaduct of the Ligne 18, the new metro line from Orly Airport to Versailles. In total, Benthem Crouwel Architects will contribute to the design of four new metro stations in Paris.